Starting up with building X.25, DDN and ATM/FR networks, we are now one of the major contractors to build provincial and municipal networks for the Telecom carriers, banks, Government and Public Security etc., in China. 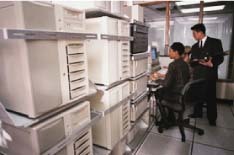 Our China project references include public X.25, Digital Data Network (DDN), ATM/FR, Gigabit Ethernet and xDSL network for the Telecom carriers in Jiangsu, Jiangxi, Yunnan, Guangxi, Shaanxi, Shandong and Fujian provinces; wireless WAN and Integrated Enterprise Network for the Yunnan Public Securities; Intelligent building and Video-on-demand systems for real estates of New World and Hutchison Whampoa group in PRC as well as VPN and video conferencing solution for airlines and Government. In Hong Kong, we have been providing a wide range of total networking solutions to clients from different industries. We have set up the Frame Relay backbone network for the Hong Kong Government and provide network support services to the Government Office Automation project. For enterprises, we have built the Intranet network for VTech, EFG Private Bank and Sogo Hong Kong Co. Ltd as well as the wireless network for City University of Hong Kong and Modern Terminal Limited. For Telecom service providers, we have been active in offering network access solutions to the Telecom Service providers in HK such as copper and optical based access solution to Wharf T&T and New World Telecommunications Ltd.